Tones are usually the hardest for non-native speakers to remember in the pronunciation of a character. This tool allows you to color code Chinese characters based on their tones. If the character has multiple pronunciations, the pronunciation of the character is determined by its context in the sentence or word. You can customize the tone color scheme or select a pre-defined one. After you enter the Chinese characters into the first box, press the Convert to HTML button to generate the HTML code. The generated HTML code can be copied and pasted into your school's web pages or personal site. You can hover your mouse over a color-coded Chinese character to show its Pinyin. 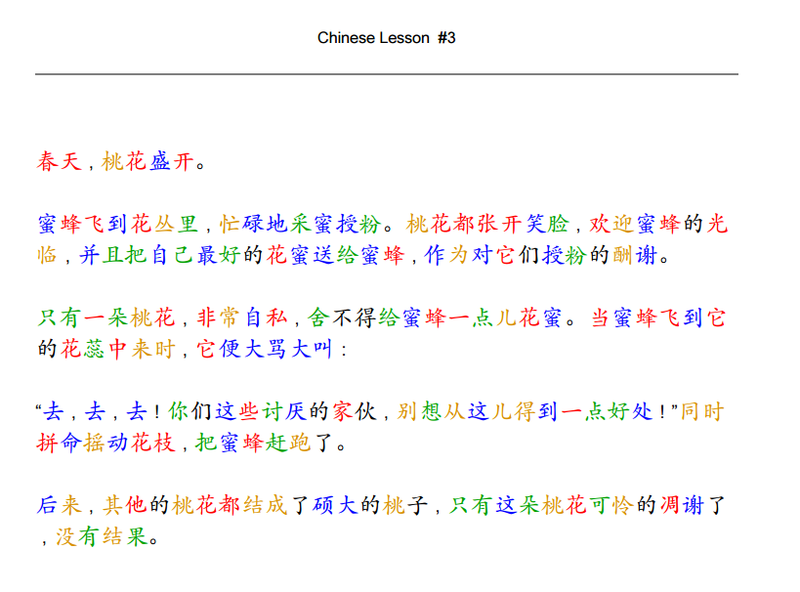 If you want to print out the color coded Chinese text, hit the Convert to PDF button to make nicely formatted and color coded Chinese classroom reading materials.